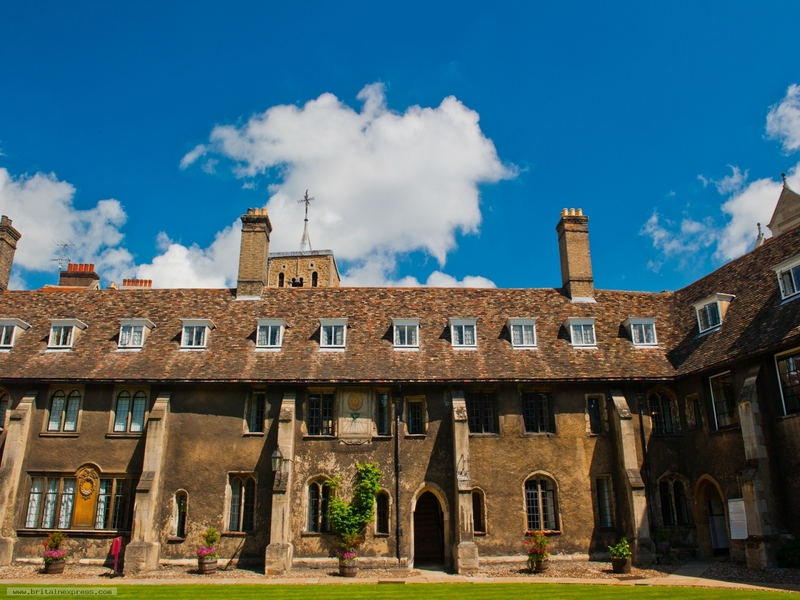 The Old Court of Corpus Christi College is probably the oldest college court in either Cambridge or Oxford. It was built in 1356, after Edward III granted a license to William Horwode, Henry de Tangmere, and John Hardy to found a new college. On the far wall of the court (to the left of this photo) is a monument to playwrights Christopher Marlowe and John Fletcher, who attended Corpus Christi, while beyond the court is visible the tower of St Bene't's Church.